Reminiscent of traditional street food fare with a contemporary twist. Tantalize your taste buds as you explore 9 distinct live cooking stations that include Japanese sushi and robatayaki bar, fresh seafood counter, organic salad corner and desserts table, just to name a few. Signature handcrafted Molteni “Red Oven” stove. Smart card payment system, quick and easy. We ordered duck breast salad, pumpkin soup, mushroom risotto and tenderloin steak. The soup and salad are fine tasty and freshy. The mushroom risotto is taste and serve at standard level. However, the steak is not. We ordered medium (not well) but it turned out as a little overcooked. The plus is the restaurant cooked new one for us and it came at the right level. We do expect from from your restaurant. The service is nice but it took long time until the waiters/waitress noticed us. It may be because of our seats are far behind. But all staffs are well trained and welcome. Overall it was an acceptable one but lower than our expectation. Great selection. Very high quality produce. Good value for money. Professional staff and chefs. 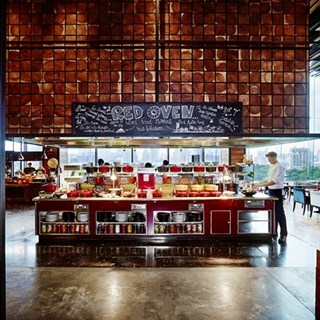 Would be one of the best buffet in Bangkok. Visited on lunch time. nice vibe, quiet and good city view. 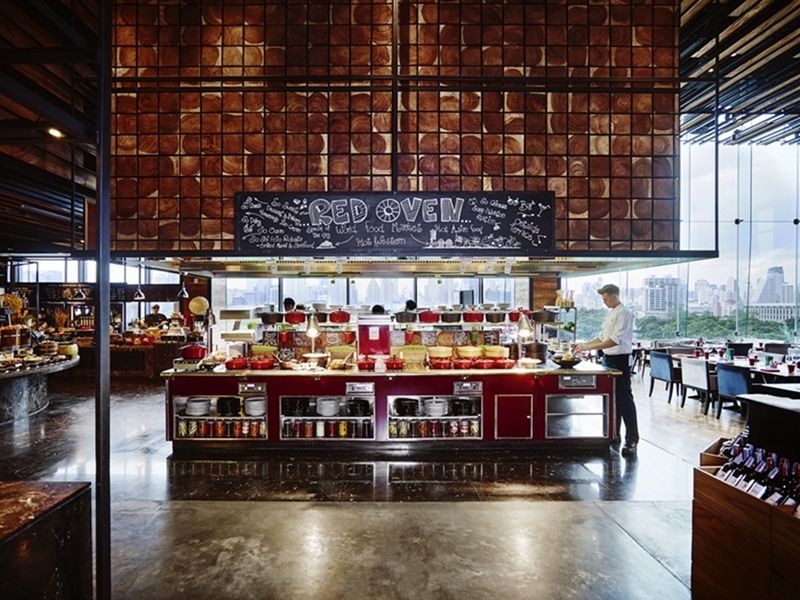 compare to other buffet restaurant, there are many order-to-made dishes. and variety of desserts are quite satisfying. Poor quality of food. Most of the food had been standing out on the counter for hours. Very few customers, so ....now we know why. Japanese food’s quality is not high, especially sushi. This was the best buffet we have had. Amazing value. Great staff and lovely venue. Highly recommend. Everything was perfect. Not one single complaint. All of the staff were very friendly and helpful, especially Kung. They all made my wife very happy on her birthday. I am very grateful. Fantastic service, very relaxed vibe! Best brunch in town! Fresh and delicious always fill up the foods. But better add made to order spaghetti station rather than already cooked which really dried.People always love fresh cooked spaghetti. Chef Benjamin was very lovely and his dishes were absolutely stunning. All the staffs were very helpful and smiley. Definiteny coming back again!